Presenting the first digital cover for the new look Fashion handbook. 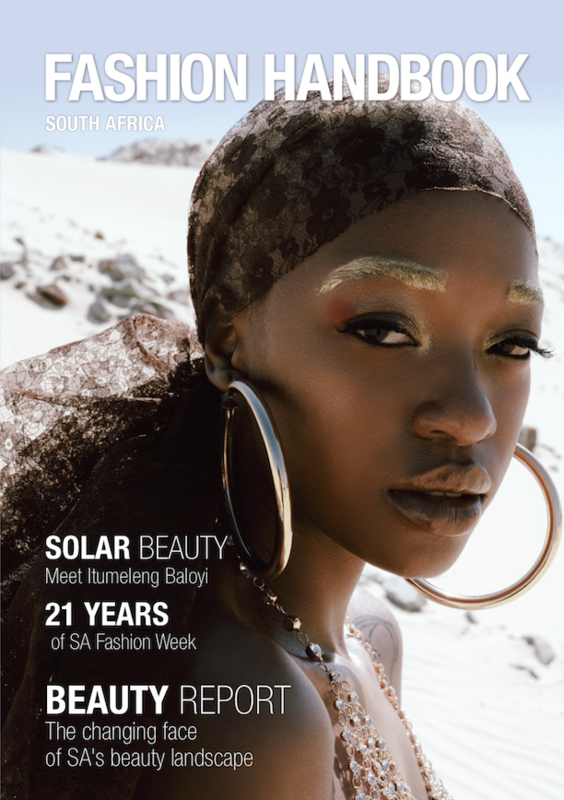 Our cover stories feature the first Beauty report, reviewing the South African Beauty landscape, revealing some interesting facts and identifying some key changes. Plus, our Cover Muse Itumeleng Solar Baloyi shares her views, in her own words, on Beauty. And South African Fashion Week just wrapped up 21 years of celebrating Fashion in South Africa. So take a read of the profile story of founder Lucilla Booyzen, from where she started and how all her endeavors have led to building a fashion eco-system, that is only just the beginning.